KVK Corporation is a family owned, professionally run business having its works at Vasai (E), Dist. Thane, India. The activities range in the area of industrial and medicinal gases. The KVK organization is led by Mr. Ramawatar Chandgothia who has been associated with the Indian gas industry for over three decades. Mr. Vineet Chandgothia, son of Mr. Ramawatar Chandgothia has joined the family group business and has added to the strength of our group activities. The technical team comprises experienced and qualified people, with practical experience of twenty to thirty years in the gas industry. KVK designs and cryogenic plants manufacturer of various types and capacities for the manufacture and handling of cryogenic gases mainly oxygen/nitrogen, acetylene and nitrous oxide gas plants, cylinder filling stations from liquid installations, hydraulic test stations for gas cylinders. In addition, we supply spares and provide after sales service. KVK undertakes erection and commissioning of Oxygen, Nitrogen and other gas plants and gas filling stations etc and also re-design, modifies and refurbish running gas plants for better economical performance. 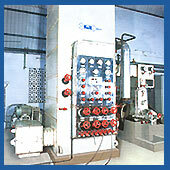 KVK provides all other ancillary equipments related to industrial and medicinal gas plants. Procurement and sale of specialized equipments like industrial crogenic gas plant and medicinal cylinders, cryogenic vessel for storage and distribution of the gases in liquid form. KVK enjoys wide acceptance all over India and many countries abroad. We are registered with THE NATIONAL SMALL INDUSTRIES CORPORATION LIMITED as manufacturers for Oxygen/Nitrogen and Acetylene gas plants. We are the leading manufacturers and suppliers of cryogenic gas plants of various types and capacities for manufacturing and handling of cryogenic gases like oxygen gas, nitrogen gas, acetylene and nitrous oxide gases for industrial and medicinal purposes. Design and manufacture of Cryogenic plants of various types and capacities for manufacture and handling of Cryogenic gases mainly Oxygen/Nitrogen, Acetylene and Nitrous Oxide Gases for Industrial and Medicinal Purposes. Undertake erection and commissioning of Oxygen, Nitrogen, and other Gas Plants and Gas Filling Stations etc. To provide complete consultancy & udertake erection and commissioning for setting up Oxygen/Nitrogen, Acetylene and Nitrous Oxide Gas Plants, Cylinder filling stations from liquid installations, Hydraulic Test Stations for gas cylinders, supply of spares and after sales service. Redesign, modify and refurbish running gas plants for economical performance. 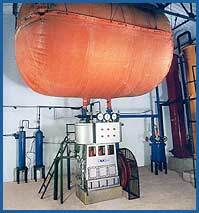 All other Ancillary equipment related to Industrial and Medicinal Gas Plants. Procurement and sale of specialized equipment like Industrial and Medical Cylinders and Cryogenic vessels for storage and distribution of the gases in liquid form. Our organization is headed by Mr. Ramawatar Chandgothia who has been associated with the gas industry in India for over three decades and has with him vast knowledge and experience of gas plant manufacturing, its economical operation and gas distribution. Mr. Vineet Chandgothia son of Mr. Ramawatar Chandgothia has joined the family group business and have added to the strength of the group activities and business. Our technical team comprises of well experienced and qualified people, having practical experience of 20 to 30 years in Gas Industry. Our business activities in above areas are well established & widely accepted all over INDIA as well as in other parts of the world.